Thank you for thinking of the Vintage Brewing Co. for your private event! and award winning craft beers will charm you and your guests. Accommodates up to 25 guests for seated events and up to 30 guests for a cocktail style event. Accommodates up to 35 people for seated events and up to 40 guests for a cocktail style event. Accommodates up to 65 guests for seated events and up to 100 guests for a cocktail style event. Typically reserved for large parties, we recommend a minimum of 40 guests. 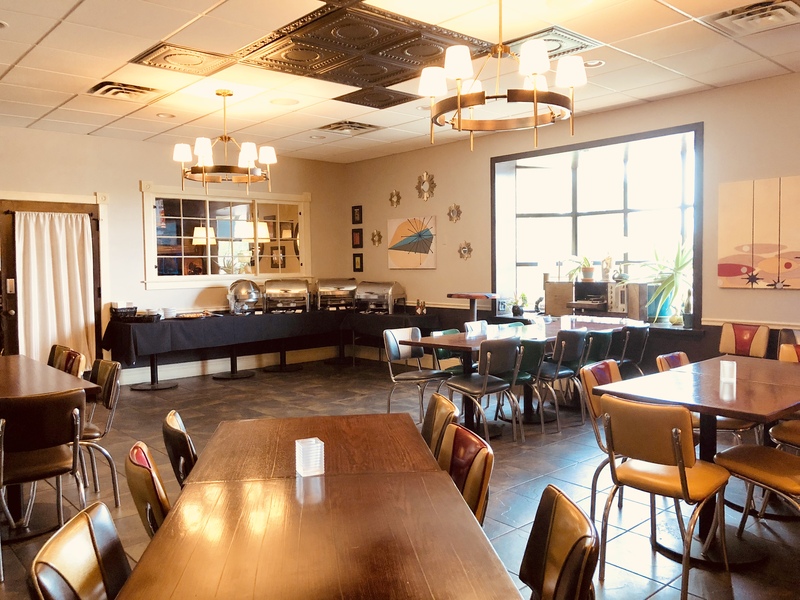 Our private dining rooms have the versatility to be used as one large room or divided into two rooms all with flexible seating options. All rooms include free Wi-Fi and flat screen TVs that can be connected to your computer for a presentation, play your favorite sporting event or “vintage” TV movies. 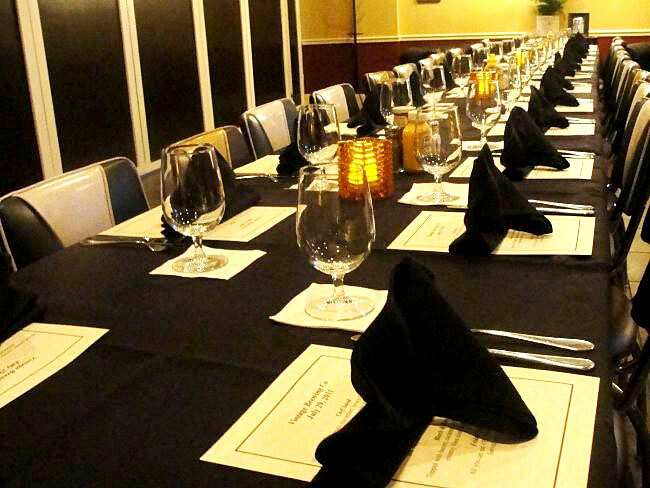 The Full Banquet and John Wayne Rooms have private restrooms and a full-service private bar. The Marilyn Monroe Room offers a large bay window with natural lighting. We have many possibilities to customize the bar for your event. If the options listed don’t suit your needs, please let us know. 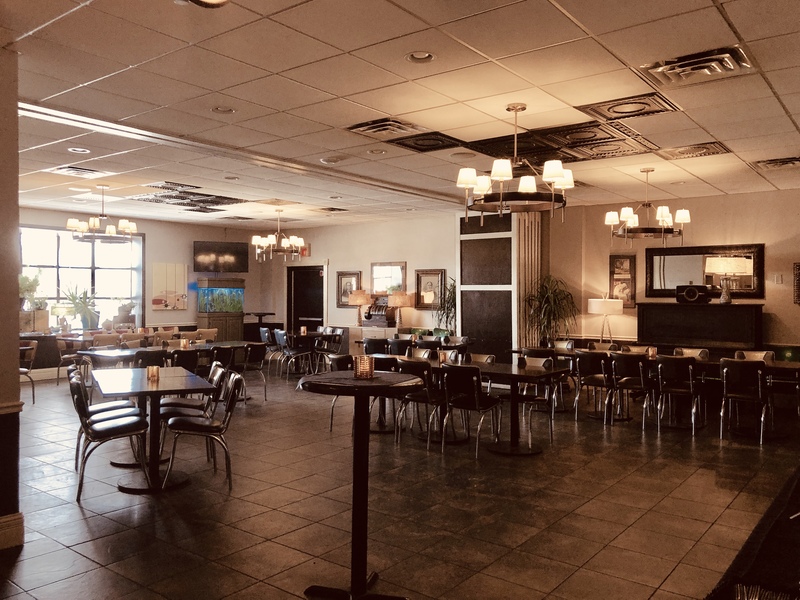 To reserve our banquet room, Vintage Brewing Co. requires a food and beverage minimum. If the room minimum is not met, the difference will be reflected as a room fee. Minimums do not include tax and gratuity. Final bills are to be made as a single payment only (no individual checks please). Can we bring our own dessert? You are welcome to bring in your own cake, however, a $25 cake fee will be applied. This fee includes use of plates, forks, napkins and serving utensils. If you bring in your own supplies, this fee is waived. Can we hang decorations? You are more than welcome to bring decorations. Please no glitter, confetti, or hanging decorations on the walls. What type of AV hook ups do you have available? We offer a projector and screen or two flat screen TVs for presentations. Can we arrive early to set up? You may arrive up to 15 minutes before your scheduled event start time to set-up or decorate. Any additional time needed would change your contracted start time and food and beverage minimums. Thank you for considering Vintage Brewing Co. for your special occasion. Please contact our Banquet Coordinator for more information or questions.